Got your detective skills ready? Anyone have an idea what this unit was at the AMF Monorail station? 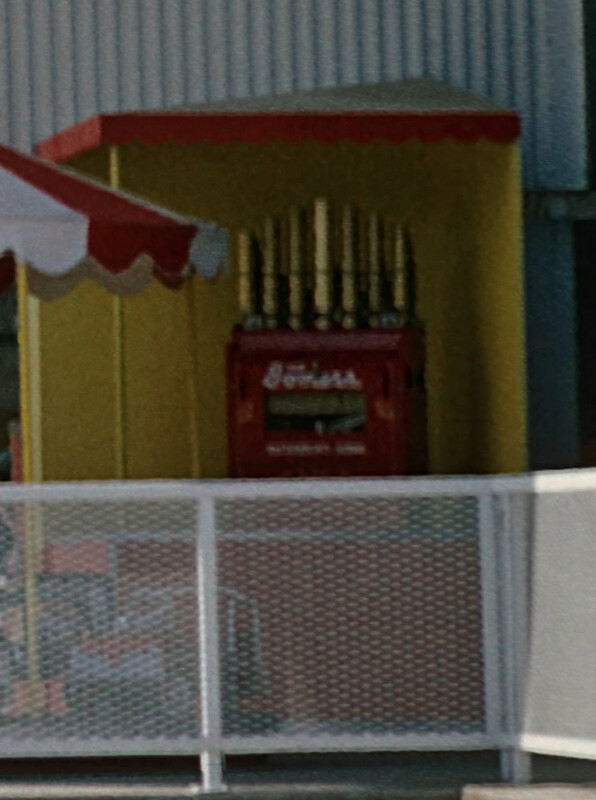 I'm guessing it's the band organ for the kiddy carousel next to it. Atlantic County carpenter William Somers built three 50 foot amusement wheels for different locations on the Atlantic (Asbury Park, Atlantic City and Coney Island) in the Summer of 1892. Ferris rode on one, getting his inspiration for the huge wheel in Chicago. A patent suit failed, as it was ruled that Ferris's wheel had significant differences. I have not yet been able to find if an amusement ride business continued under the Somers name until the 60s. Someone on Facebook said Somers made air-powered calliopes. The pipes look the part. Is this a 1965 photo? I'm guessing it got left from the Circus Museum exhibits, which was next door in 1964.
the "crazy mirrors" at AMF are all '65 pictures too, aren't they? Never thought of it before but I do believe you are right - again. What are the "crazy mirrors"?? 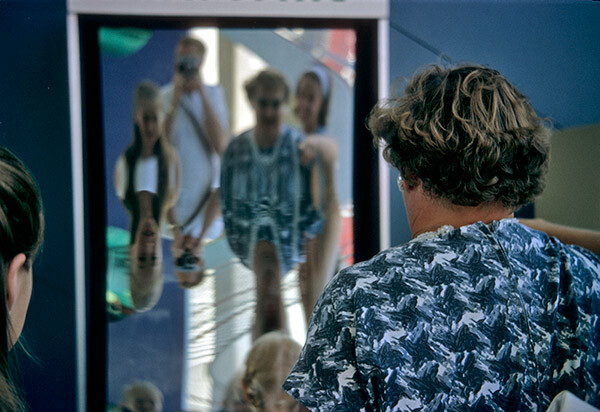 Funhouse mirrors like this one. 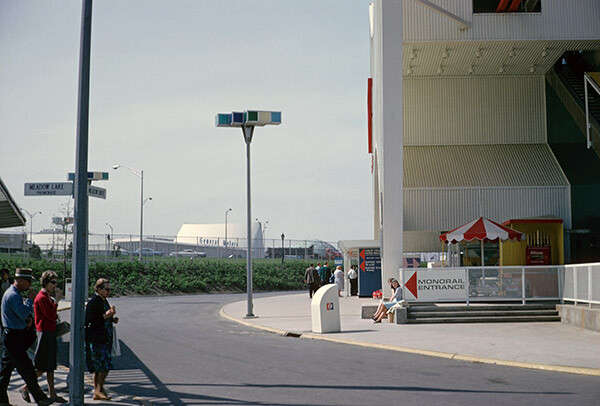 Randy, this one was dated August 1964 and appears to be at the monorail station. Okay, so I guess the mirrors didn't come from left-over circus stuff. I never heard of the circus museum. The calliope and umbrella stand look like they might be temporarily unused objects just stored there. How did you get up to the monorail stations? Were there elevators or just stairs? I only rode the monorail once and i forgot. I met a girl who was a stewardess, or whatever they were called, on the mono and i got to ride it for free. I remember that a little. I also used to ride regular Greyhound buses for free back then. Sometimes anyway. I just flashed my WF Greyhound badge at the driver real quick and walked on the bus like i belonged there. It usually worked but at least one driver threw me off. Amazing how many places you can sneak in, or ride for free, if you just walk fast and act like you belong there!